A description of the faculty and professors that work in the Visual Effects for Television and Film program at Seneca College. Joe Raasch's compositing career started in 2001 as an intern at The Post Group, a Toronto post production boutique studio. After contracts at GVFX and Hybride Technologies, Joe started working at CORE Digital Pictures rising up through the ranks to become a senior compositor. After CORE disolved in 2010, Joe has taken contracts at Arc Productions and Take 5 Productions. Joe started teaching in Seneca College's Visual Effects program in 2002, becoming coordinator of the program by the end of the year. As the coordinator, Joe plays a major role in developing the curriculum and running the day to day operations of the Visual Effects program. A member of the Visual Effects Society, Joe has been instrumental in organizing Toronto’s Nuke User Groups. Joe has presented on a range of topics, including Deep Compositing, Nuke 7 features and Modo/Nuke integration. Joe was the first Foundry Certified Nuke Trainer in Canada, and was responsible for integrating Nuke into Seneca College’s Visual Effects program, the first school on the East Coast to integrate Nuke into it’s curriculum. Mr. X FX, Arc Productions and CORE Digital Pictures are some of the companies that have hired Joe to run Nuke training classes. Joe runs a personal website where he blogs and posts Nuke tutorials. He has worked on TV series such as The Tudors, Camelot, The Borgias, Penny Dreadful, Into the Badlands and Vikings, as well as feature films like The Amazing Spider-Man, Halo:Forward Unto Dawn, Dolphin Tale, Resident Evil: Apocalypse and Silent Hill. Mahmoud Rahnama's visual effects career started at the Toronto studio CORE Digital Pictures in 2004. Mahmoud worked his way up from a junior artist to senior levels very quickly before taking a position at Gallus Entertainment supervising lighting and compositing on the children's cartoon show Waybuloo. In 2011 Mahmoud took a lead artist position at the newly formed Toronto division of Pixomondo. Mahmoud worked his way up to become a visual effects supervisor and added such films as Hugo (Acadamy Award winner for best Visual Effects), Snow White and the Huntsman (Nominated for Acadamy Award for best Visual Effects), The Amazing Spider-Man and Oblivion to his filmography. Mahmoud's career at Seneca College started in 2006, teaching in the Digital Animation program. Shortly after he started, the Visual Effects department snapped him up to become one of their Maya instructors, which he continues to this day. Mahmoud is constantly and consistently one of the more popular professors in the VFT program. He holds the unique ability to make the technical aspects of visual effects simple for students to understand, and his love of learning spreads to anyone who has taken his courses. Kenny Tam’s CG career began in the year 2000, specializing in modelling. He started in commercials, working for premium clients such as McDonalds, McCains, MTV, and Moose Head Beer. Kenny joined the team at Soho VFX in Toronto, taking on the role as Asset Supervisor on the films Fantastic Four, The Chronicles of Narnia, Final Destination 3, X-Men 3: The Last Stand, Blades of Glory, Fantastic Four: Rise of the Silver Surfer and The Incredible Hulk. The Toronto division of Pixomondo was the next stop for Kenny where he worked as a VFX Supervisor. While he was there he worked on The Amazing Spider-Man, Snow White and the Huntsman (Nominated for an Academy Award for best Visual Effects) and Hugo (Academy Award Winner for best Visual Effects). Currently Kenny works at Arc Productions where he continues to work as a CG Supervisor. While at Arc, Kenny has made valuable contributions to the productions Little Boy, Frost, and Halo:Forward Onto Dawn. While working in the industry, Kenny started teaching at Seneca College’s Visual Effects program in 2009. The VFT program immediately felt the impact of his years of experience as he shared his vast knowledge of Maya with his students. Kenny brings a remarkable work ethic and an impressive production skillset to the program. Engin Arslan is a front-end developer with a Bachelor of Science in Materials Engineering and a Postgraduate Degree in Visual Effects. Before becoming a developer, he worked as a visual effects artist / technical director on films and TV shows including Resident Evil, Tron, Mama, Pompeii, Vikings and The Strain. He received an Emmy nomination and won a Canadian Screen Award for his Visual Effects work on the TV show Vikings. During his time in VFX, he fell in love with Python and with programming in general. As a result he changed careers to be able to immerse himself completely in software development. Engin currently works at Myplanet, a Toronto-based digital services company, where he helps develop solutions for clients ranging from Fortune 500 companies to top technology brands. Engin has given talks at conferences such as Pycon and is also an author for Pluralsight. Rafael Santos is a Senior Houdini TD at Tendril Design + Animation in Toronto, focused on VFX for animation and commercials. Originally from Brazil, where he received formal training in Architecture and Urban Planning, Rafael decided to follow his passion for film, animation and design working for a number advertising agencies and design studios in his home country. In Toronto, Rafael worked as a designer for Bruce Mau Design for nearly 4 years, before taking the plunge into VFX for film. He was a technical intern at SideFX Software Inc. in 2011 (creator of Houdini) before working as an FX artist at Mr.X from 2012 to 2014. His credits include: Pompei, Mortal Instruments, Resident Evil 5 and the critically acclaimed television series, Vikings. In 2014, Rafael returned to SideFX as a Marketing Artist, creating content to illustrate Houdini's features, coordinating and mentoring technical interns and interfacing with Houdini users at trade shows and industry events. Now at Tendril, Rafael's mandate is to advance the use of Houdini in the studio by producing high-quality, design-driven FX, while mentoring, researching and sharing knowledge among his peers. He has worked on content for Nike, Microsoft, Kraft, to name a few, and a short animation for episode 5 of American Gods television series. Alexandre Scott started his career in 2005 doing freelance 3D advertising work. He eventually moved into assets and visual effects work at Gallus Entertainment for the animated TV series Matt Hatter Chronicles. In 2011 Alexandre took a position at the Toronto division of Pixomondo. Alexandre split his time doing both lighting and visual effects work on Snow White and the Huntsman (Nominated for the Academy Award for best Visual Effects), The Amazing Spider-Man and Oblivion. He eventually moved onto Mr.X Inc. for a Senior/Lead lighting position. At Mr. X Inc. he has been working on both TV and feature films such as Pompeii ( Winner of Canadian Screen Award for best Visual Effects) , Robocop, Guillermo del Toro's Crimson Peak and the television show Penny Dreadful. 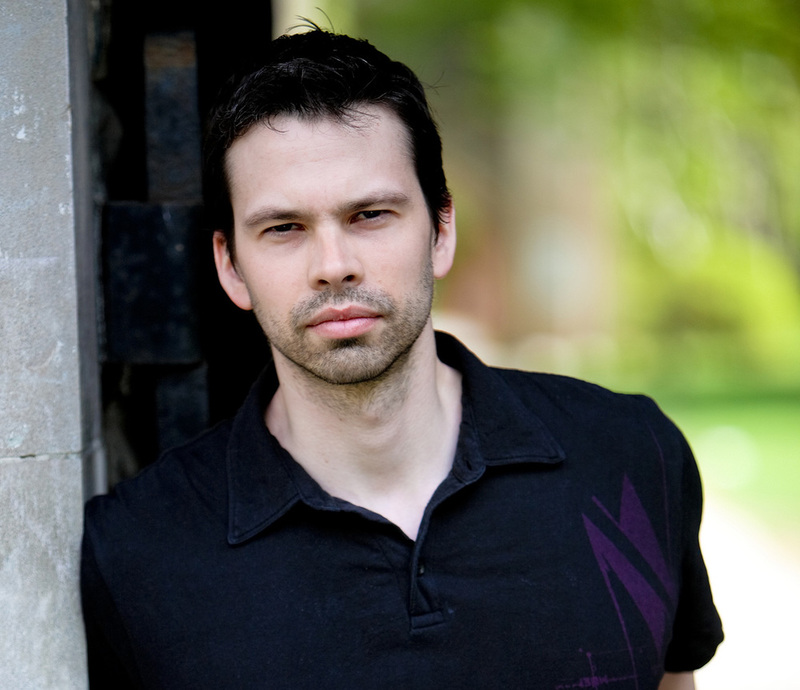 Alexandre Scott's career at Seneca College began in 2012 teaching lighting, shading and rendering in the Visual Effects program. Upon arrival he brought in an all-new, up to date curriculum that covers the latest Physically Based Rendering techniques in both Maya/V-Ray and Houdini.